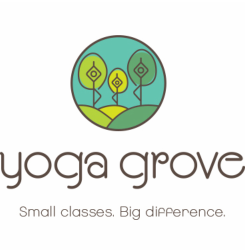 Retreat Reservations - Yoga Grove - Small classes. Big difference. To register for an upcoming retreat, please fill out the following form. We will contact you about methods of payment and availability of rooms. Looking forward to sharing an incredible get-away with you! Choose 1 if you're coming alone, 2+ if you are requesting semi-private accommodation. Please indicate who is with you in your party in the comment section below. Thank you! We will be in touch soon to confirm receipt of this reservation and to give you options for payment.